Steve Clifford addresses the media after being named the new head coach of the Charlotte Bobcats on May 29, in Charlotte, N.C.
CHARLOTTE, N.C. — There was never much doubt about the general direction of Steve Clifford’s career path even before he was old enough to truly consider his options. That path eventually led him back to Maine, first to study and play basketball at the University of Maine at Farmington and then to his first coaching job at Woodland High School. Nearly three decades later, subsequent coaching stops at six different college basketball programs and four professional franchises have led the oldest of Gerald and Teresa Clifford’s three children to his new job — head coach of the NBA’s Charlotte Bobcats. “I felt confident a couple of years ago that I could do the job,” said the 51-year-old Clifford, who spent the most recent of his 13 seasons as an NBA assistant coach with the Los Angeles Lakers after previous stints with the New York Knicks, Houston Rockets and Orlando Magic. Clifford’s deal with the Bobcats is guaranteed for the first two years with a club option for a third year and could total about $6 million, according to the Charlotte Observer. And while the financial rewards of Clifford’s new post are bigger than assistant coach’s pay, so, too, are the challenges. That organizational effort includes assembling a coaching staff, which according to numerous reports already has begun with the Bobcats agreeing in principle to hire former NBA great Patrick Ewing — a coaching colleague of Clifford’s for five years in Houston and Orlando — as associate head coach. Then comes the annual NBA player draft on June 27, though Clifford said much of that work is done by the team’s personnel department. Beyond that rests the challenge of rebuilding a franchise that went 21-61 this season — prompting the firing in April of most recent head coach Mike Dunlap after one just one year — and an NBA-worst 28-120 over the past two years. “To be honest, what I’m really focused on right now is for everyone to have a great summer,” said Clifford. “Like any other coaching situation, you have to concentrate on the present, and the off-season in this league is when the guys can add to their games, to take their strengths and make them even stronger. Clifford is known around the league as a defensive-minded coach, perhaps the needed antidote for a team that was next-to-last in the NBA in scoring defense during the 2012-13 season, allowing an average of 102.7 points per game. It’s a philosophy forged during his own playing days, first under his father, a Wytopitlock native and former coach at the now-defunct Mattawamkeag High School who coached Clifford at North Country Union High School in Derby Line, Vt.
Then Clifford returned to Maine to attend UMF, where he graduated in 1983 with a degree in special education and played basketball for four years under longtime coach Len MacPhee. A guard, Clifford was named the Beavers’ best defensive player each of his last two years and was a team captain during the 1982-83 season. MacPhee’s attention to discipline was one of many lessons Clifford has carried with him through his myriad coaching stops. Clifford began his coaching career almost immediately after graduation, moving Down East to take the boys’ varsity basketball job at Woodland High School. In two years he guided the Dragons to a 31-9 record and back-to-back appearances in the Eastern Maine Class C final in 1984 and 1985. It would be Clifford’s one and only high school coaching stop, though his professional aspirations at the time weren’t particularly geared toward a higher level of the sport. “What happened for me was that I got the chance to go to a coaching clinic where coach [Bob] Brown was one of the speakers,” he said. “He was coaching at Saint Anselm at the time, and I spoke to him after the clinic and stayed in touch with him. Brown, the former boys varsity basketball coach at Cheverus High School of Portland who retired from a 52-year high school and college coaching career in 2012 and the father of current San Antonio Spurs assistant coach Brett Brown, soon offered Clifford a pathway to the college ranks. The opportunity was modest, a chance to serve as a volunteer assistant for him at Saint Anselm College in Manchester, N.H., but Clifford jumped at the chance — initially making ends meet by living with the Brown family and working for UPS. “I went because No. 1, by doing it I knew I’d become a much better coach, and No. 2, it might lead to another very good coaching job,” said Clifford. He eventually became a paid assistant at the Division II school and remained at Saint Anselm for four years before moving to Division I Fairfield (Conn.) University. After a year with the Stags, Clifford rejoined Brown at Boston University. He spent four years at BU, then went to Siena College in upstate New York for a year before accepting the head coaching job at Adelphi University on Long Island where he led the Panthers to four straight 20-win seasons and four appearances in the NCAA Division II tournament while becoming the first coach in school history to record consecutive 20-plus win campaigns. That led to a return to the Division I ranks as an assistant at East Carolina. Clifford’s stay at East Carolina lasted for one year — until a familiar voice called with yet another new opportunity. Clifford joined Van Gundy’s staff with the New York Knicks as an advance scout and has never looked back. “Right away I knew I liked the NBA,” he said. “I liked the game, I liked the discipline of the game, I liked the excellence of the game. Clifford spent one year as a scout and two more years as an assistant coach with the Knicks before going with Van Gundy to Houston for four years. Clifford went on to coach under Van Gundy’s brother, Stan Van Gundy, for five years in Orlando before spending the 2012-13 season in Los Angeles after being a finalist for the head coaching job with the Portland Trail Blazers during that off season. Clifford said he has drawn much of his pro basketball influences from his relationships with Stan and Jeff Van Gundy — the latter currently the color analyst on ABC’s telecasts of the NBA Finals. Clifford hopes to communicate the knowledge he’s gained throughout a career of listening, learning and teaching to a roster of Charlotte players that includes veterans Ben Gordon and Brendan Haywood and promising younger players like Kemba Walker, Gerald Henderson and 2012 first-round draft pick Michael Kidd-Gilchrist. 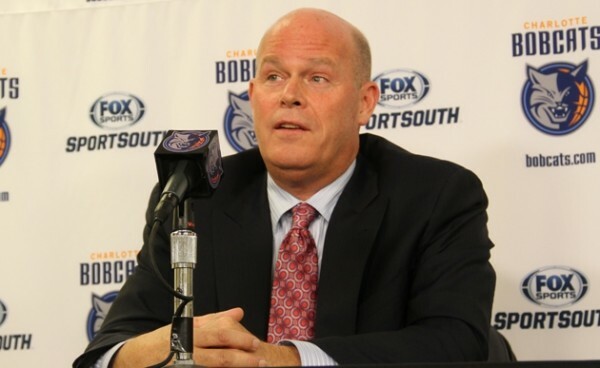 And while Steve Clifford’s professional focus clearly is on producing results for Charlotte team owner and NBA legend Michael Jordan, his personal focus never will stray too far from Maine. His parents live in Brewer. Younger brother Dan, a former boys varsity basketball coach in Ellsworth, is now the principal of Bucksport High School. Then there’s Cambolasse Pond in Lincoln, where the family — including his sister Cindy, who lives in Texas — gathers each summer. Clifford fully expects to take time from his organizational work with the Bobcats to return to his Maine roots come family reunion time again this year.